South Florida Autism Charter Schools, Inc. is an open-enrollment, tuition-free, public charter school. 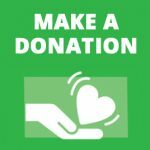 SFACS has not-for-profit 501C3 status and all donations are tax-deductible. All donations go directly into the school budget and are used to enhance our programs and services. SFACS success is a direct result of support from the communities we serve. We have directly benefited from the hard work of volunteers, the support of civic and community leaders and the generous financial donations of individuals and charitable foundations. As a public school, we receive funds from the State of Florida that cover most of our day-to-day operating expenses. However, SFACS requires gifts to provide the resources to maintain our 3:1 student-to-teacher classroom ratio, provide specialized equipment and curriculum for our students, and employ highly-qualified and well-trained teachers and therapists. Our growth and continued success relies on the generosity of individuals, private companies and charitable foundations. There are many opportunities for corporate sponsorship, as well as existing grant programs that require the participation of a private company. For more information please contact Susan L. Leon, Development Director. Fundraising efforts are maintained throughout the year, and there are several events that provide opportunities for individuals in the community to participate. For more information please contact Susan Leon, Development Director. All contributions are fully tax-deductible to the full extent of the law for those who itemize. South Florida Autism Charter Schools, Inc.
SFACS is a non-profit organization with tax-exempt status.